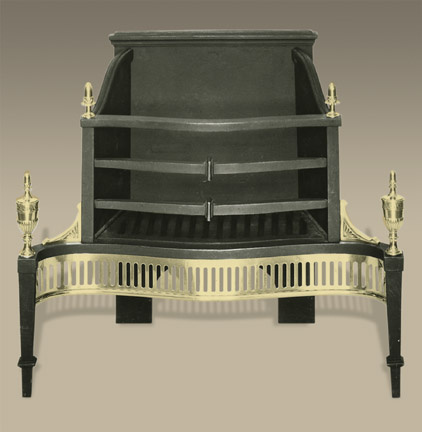 Elegant brass Victorian fireplace grate, still made in the USA from the old original molds. 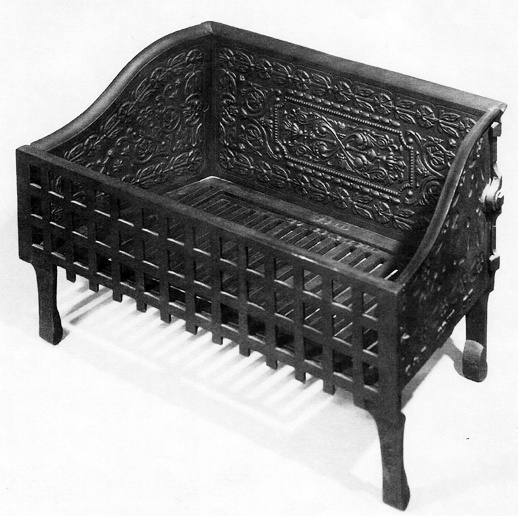 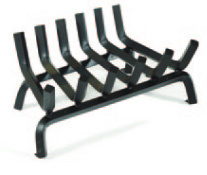 Found more often in English manor homes, where the extending dog irons protrude onto the hearth. 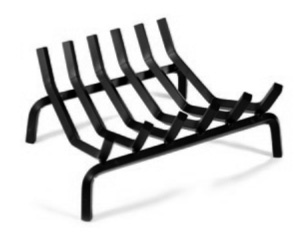 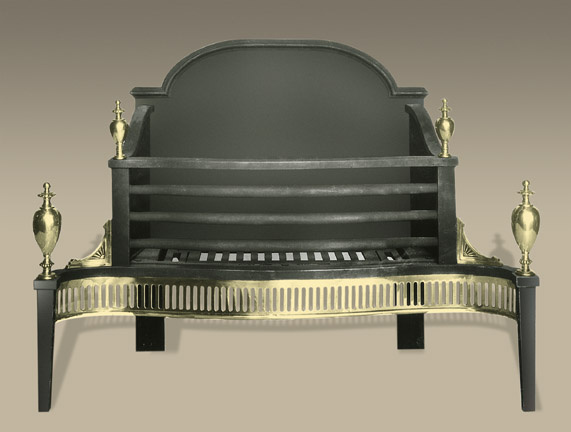 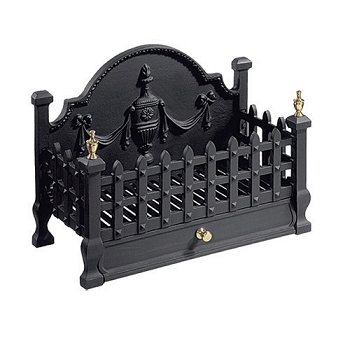 A very formal style grate for the most formal of fireplaces! 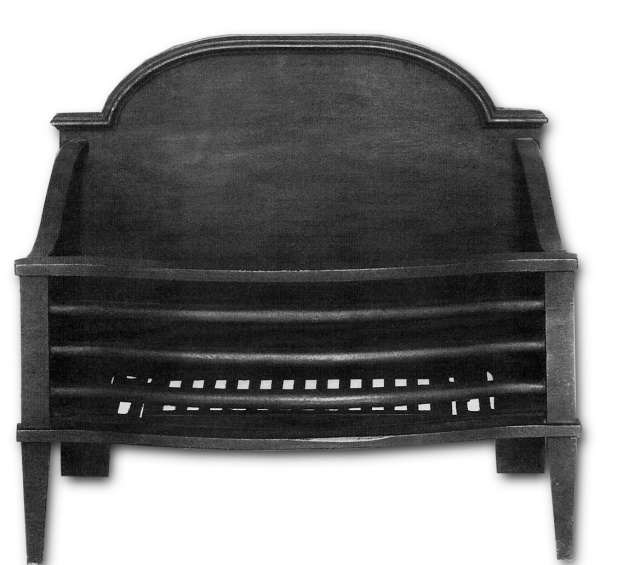 Fits smaller fireplaces (minimum 18" wide), but also looks nice in larger fireplaces where the 27" wide dog irons can actually sit inside the fireplace. 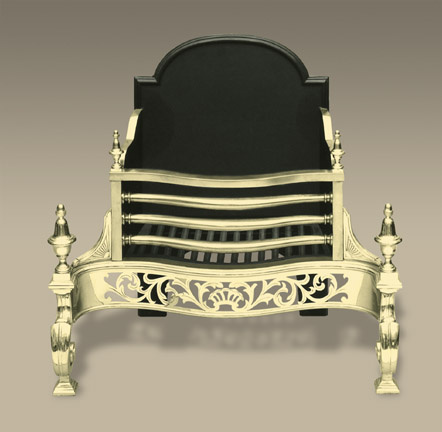 Solid cast iron construction with solid cast brass finials and accents. 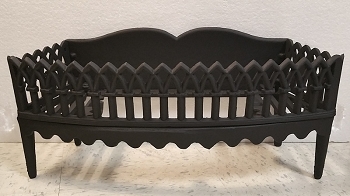 This truly is a museum quality piece - and priced as such; made EXACTLY like the old 1800's original from the same cast iron molds. 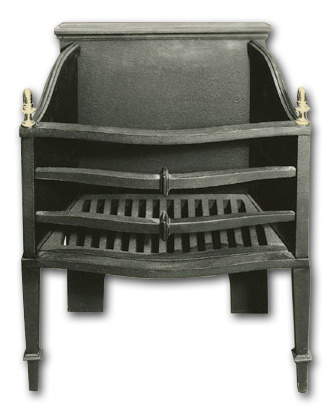 Shown left, we had a custom gas coal burner made to fit the Jackson grate. 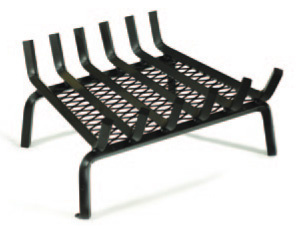 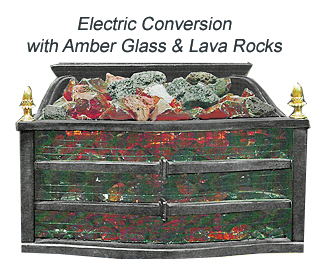 Add $999 for this option - call us for details. 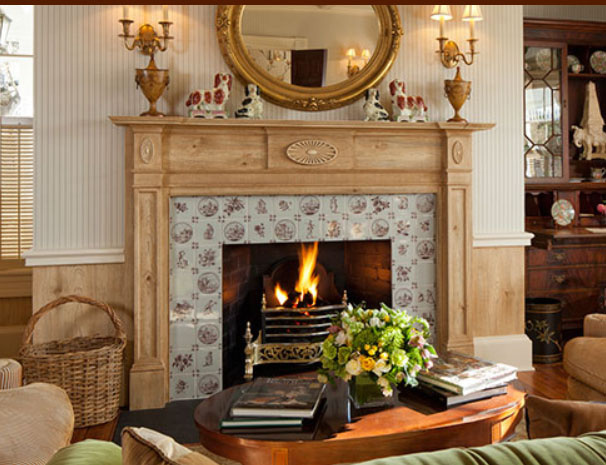 This fireplace is in the "Parsonage" cottage at the Inn at Little Washington.